THIS ITEM WILL SHIP IN 2 BUS. DAYS. WE CANNOT SHIP THIS ITEM OUTSIDE OF THE UNITED STATES. Experience a whole new level of bowling with the Storm Men's SP3 bowling shoes. This Toehold Hyperflex Engineering featured on this shoe was designed to increases the flexibility and durability of the shoe. The list of high performance features this shoe has to offer is unmatched. I am writing this so that no one else makes the same mistake I did. I take part of the blame for this because for a shoe this expensive I expected more. First off, they are not storm shoes. They are Dexters. If you order this shoe, you might expect like I did to have more slide options with it. When they sell these shoes on their site, they do not show any optional slides that you can buy if needed, so I assumed they came with a $200 pair of shoes like they should. They are a great looking shoe, I give it that, but I feel mislead. Where I bowl, the shoes would barely slide. That is not the fault of the shoes, but the lanes where I bowl which is why I was hoping for another option to replace them on the spot. That could not be done. I called storm and they told me they have nothing to do with them, that Dexter just gets to put their name and logo on them. I then called dexter and they referred me to where I got them. In other words, if you happen to be in the same situation like I am, plan on spending more money for more slides and heels. You could easilly spend $300 or so before you get what you want or what will work for you. On top of that, you will not even see on this web site that there are optional slides for the storms. you either have to guess or call to find out that you have to try the dexters. The other issue, which again I should have known better is that you cannot return these. The fine print says shoes can only be returned if they are in brand new condition and have not been worn, so good luck bowling with these and not trying them out a few frames first like I did. Its a great pair of bowling shoes which has alot of comfort. However, the big downside for this shoe is the break in time. On my first attempt of sliding, the shoe did not slide a single bit and I fell straight onto the lane. Recommend brushing and some baby powder onto the slider should do the job. Hello Chris! These shoes in particular will be a EE. Linds carries a EEE. We do not have any wide width shoes wider than a EEE. 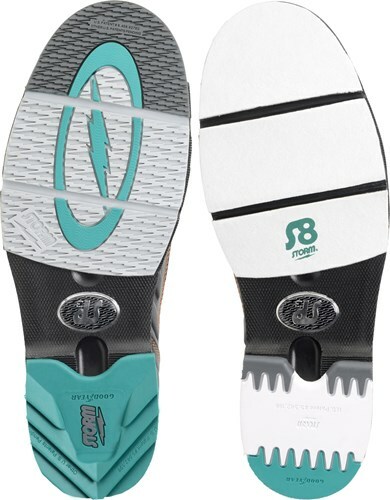 This shoe has been improved on to help against toe drag. The soles now clip to the front of the shoe which helps prevent the push off sole from peeling back as you drag your toe. While this is vastly improved over the Storm SP2 series, it is still not going to be as good as a shoe that has a fixed push off sole like the Storm SP800 model. 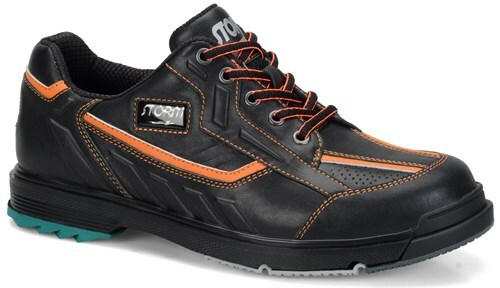 Due to the time it takes to produce the Storm Mens SP3 Black/Orange Wide Width ball it will ship in 2 bus. days. We cannot ship this ball outside the United States.